At Hurst Orthodontics, Dr. Charles Hurst and our fun, friendly team are committed to helping you achieve your ideal result: a smile you can be proud to show off! We work each and every day to make a positive difference in the lives of our patients and their families. Our greatest goal is to provide excellent orthodontic services and the highest quality of results, while working as a team in a fun and patient-focused environment. We stop at nothing short of perfection! 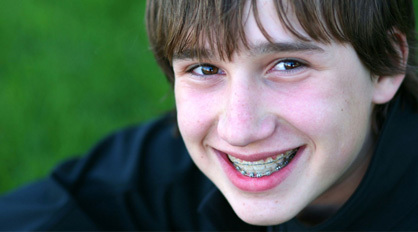 Offering Invisalign®, Invisalign Teen®, clear braces, and Incognito™ lingual braces, Dr. Hurst will create a unique treatment plan that meets your needs and your lifestyle. Dr. Hurst has the education, training, and experience to ensure you end up with a board-quality result. We respect your time by offering Saturday and early morning hours so your appointments will always fit into your already busy schedule. When you’re ready to take the next step toward a beautiful, straight smile, please feel free to contact our Chesterton orthodontic office and schedule a complimentary consultation. We look forward to meeting you!